Infusium 23 Moisture Replenisher Leave-in Smoothing Crème Enhanced with Avocado and Olive Oil (#Infusium23Smooth): This is definitely one of my favorite products in the Sunshine box, and it has quickly become a beach bag staple. This leave-in conditioner works best if you air dry your hair. It keeps frizz at bay and leaves your hair smelling amazing. I tried using it as part of my everyday styling routine and wasn’t blown away, but when I brought it with me for a day at my favorite swimming spot, everything changed. I applied it generously to my wet, gnarly strands and used my fingers to comb it through. My hair instantly looked and felt better, and within minutes it started to dry in the prettiest, beachiest waves – with no frizz to be found! Dickinson’s Original Witch Hazel Refreshingly Clean Cleansing Cloths (#SelfieReadySkin): I’m usually a big fan of cleansing cloths, and from what I can tell these were non-drying and did a fine job of removing makeup and oil without irritating my skin. However, I could barely stomach the smell of them. I’m not sure what it is, but it made me a little queasy. I was only able to use them a couple of times. 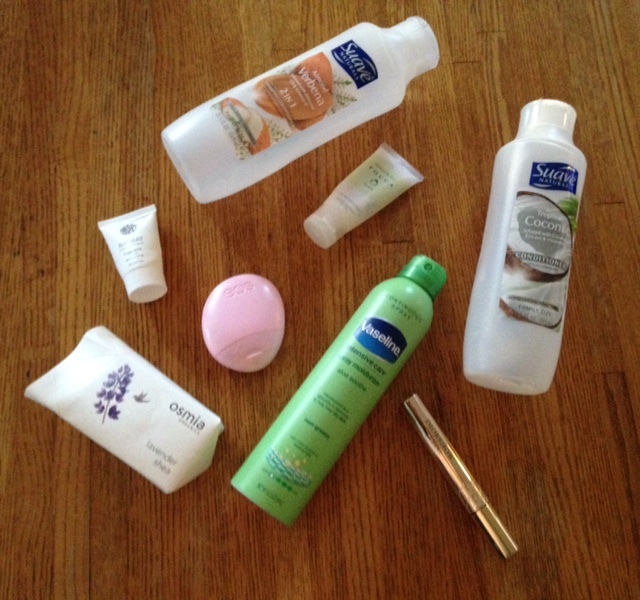 If you’re sensitive to scents of any kind, I would avoid these. Blue Diamond Sriracha Almonds (#BlueDiamondAlmonds): I was worried that these spicy almonds might be too hot for me, but I was happily mistaken! The chili-garlic flavor combo is addictively delicious with just the right amount of kick. I’d recommend them as a tasty and healthy way to satisfy a chip craving. barkTHINS (#breakupwithboring): The Sunshine box came with a coupon for a free bag of another tasty treat, barkTHINS snacking chocolate. I chose the dark chocolate, almond and sea salt variety, and thought it was really good. The bark was filled with crunchy almond bits and the chocolate was good and dark, not too sweet. My only complaint? I wish there was just a little more salt – I could barely taste it. SinfulColors Nail Polish (#ColorOutsideTheLines): I received a bottle of polish from the SinfulColors Silk collection, a sheer turquoise called Real Teal. Unfortunately, it was a real dud. The polish seemed cheap from the get-go; the brush deposited color unevenly, making the sheer shade almost imperceptible in some spots and dark and blobby in others. Also, the combination of it being a super sheer, matte blue polish left me looking less like I’d just given myself a manicure and more like I’d just been pulled from the deep freeze. The whole experience was a mess. 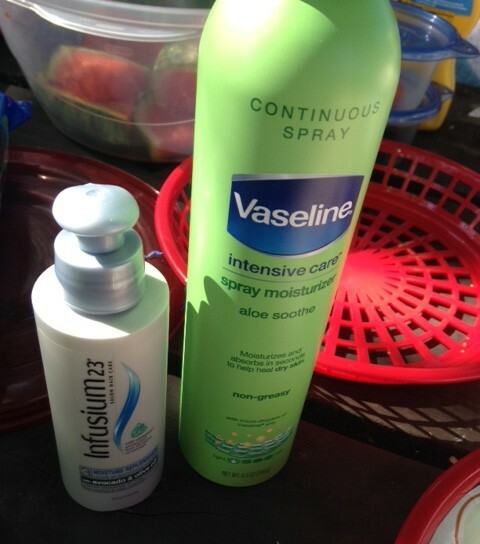 Vaseline Intensive Care Aloe Soothe Spray Moisturizer (#VaselineSprays): I’ve been wanting to try one of these spray lotions for a while, and I was not disappointed when I did. This aloe spray is perfect for summer, leaving skin cool and refreshed, especially after a day spent in the sun. Plus, it allows you to moisturize your entire body in ten seconds – so convenient. It’s very lightweight, surprisingly hydrating, and smells fresh and clean. It’s a perfect daily lotion for summer. 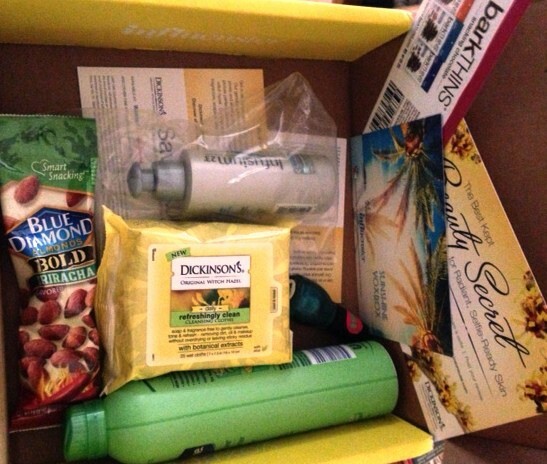 I received these products free for testing purposes. All opinions are my own.